Salsa base tomatoes shall be prepared in pouches from tomatoes that have been washed, hand sorted for quality and peeled. Salt and naturally derived citric acid are added. 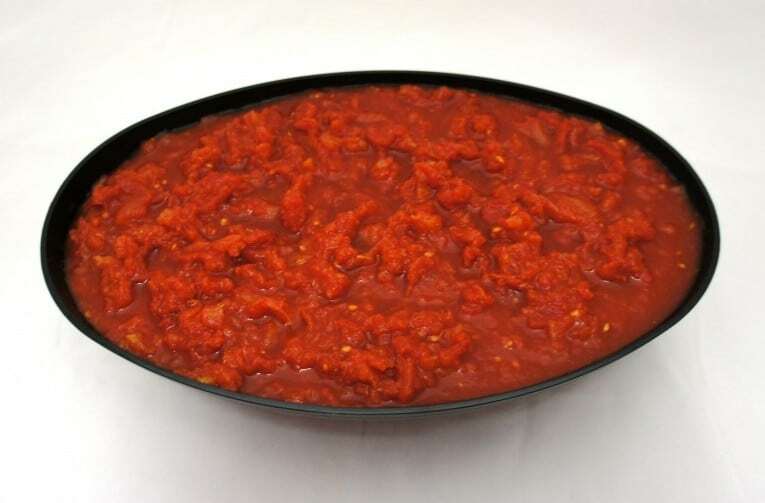 A rich topping juice made from fresh tomatoes is used as a packing medium. The sealed containers are cooked to ensure commercial sterility then cooled prior to stacking.